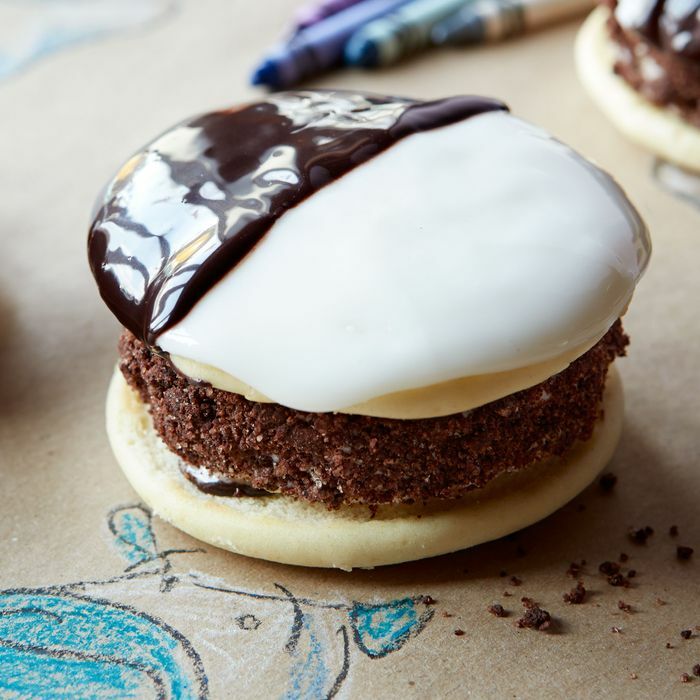 Is there a more iconic New York cookie than the black-and-white? 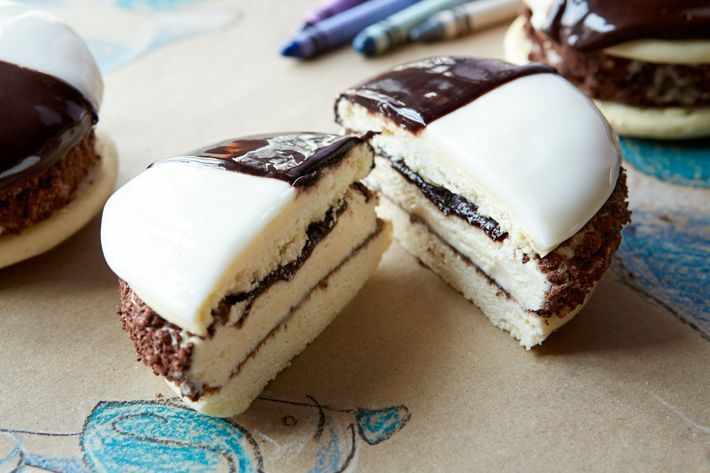 And, given the fact that the ice-cream sandwich was invented circa 1899 on our own gritty streets by a pushcart vendor, is there a more quintessentially New York frozen-dairy delivery system? No and no. Having realized this, the civic-minded folks at Ample Hills Creamery and Baked bakery have decided to combine the two treats in one luscious package called the Black & Walt, after Ample Hills’ bovine mascot. The Brooklyn-based dream-team collaboration consists of vanilla malted ice cream slicked with malted fudge, shoved between a split Baked cookie, then rolled in some Ample Hills’ malted-chocolate Rice Krispies crunch. It’s available for $7 beginning Friday at all Ample Hills and Baked shops, and will eventually be sold at the Ample Hills kiosk in Brooklyn Bridge Park.